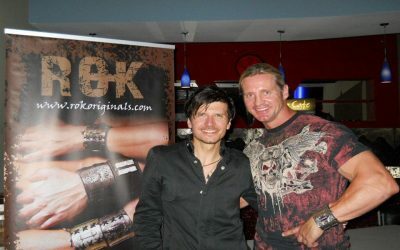 Wonderboom frontman, Martin Cito Otto pictured here with Rok owner, Ryan Taylor. 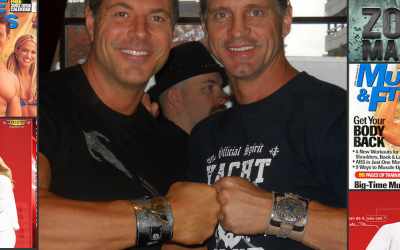 Ryan is wearing a Shackle Hammer Armo Band. 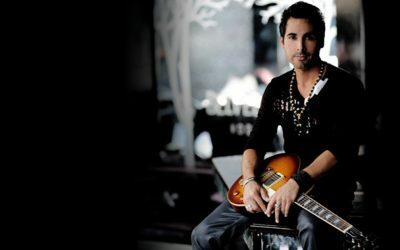 Latin Musician Xavier Saer, pictured wearing a Black Hobnail Armo Band. 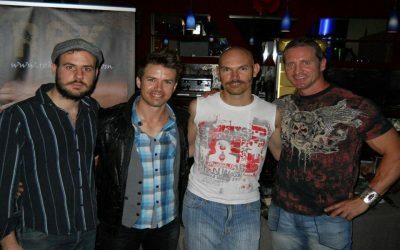 Rok owner, Ryan Taylor wearing a Silver Shackle Hammer Armo Band, pictured here with South African Rok band, Evolver One. 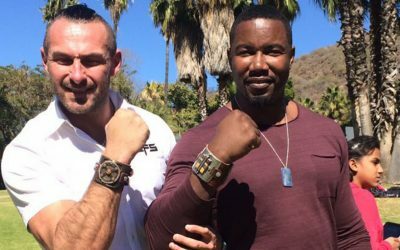 Hollywood Action Star Michael Jai White and friend Darius, wearing Legions Lock and Earth Armo Bands. 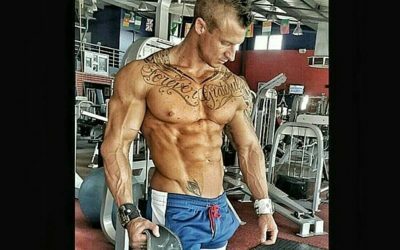 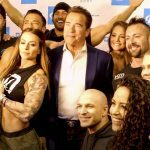 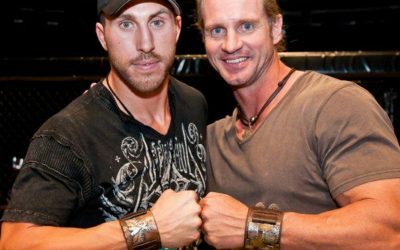 Professional Fitness Model, Christian Boeving pictured with Rok owner, Ryan Taylor wearing Silver Imperial Flight Armo Band. 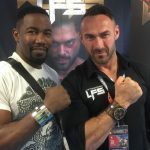 Body Fitness CH, Geoff Mathews pictured wearing a Legions Lock Armo Band.